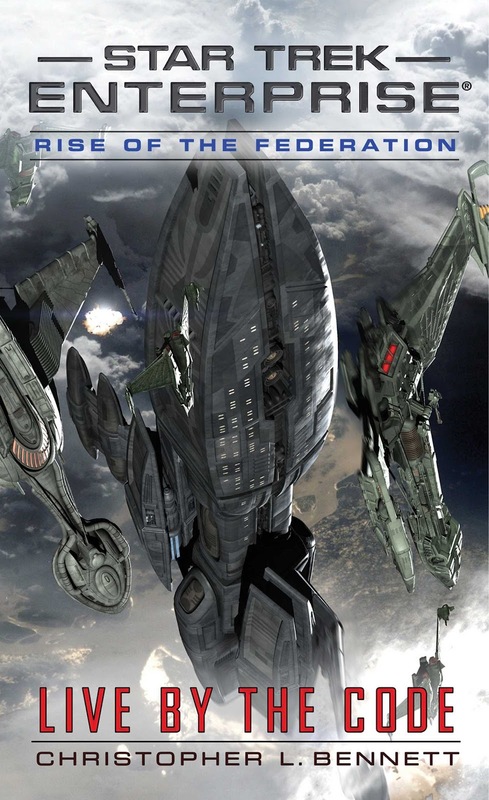 Out now is Live by the Code, a new Enterprise novel by Christopher L. Bennett. This is the fourth book in Bennett's Rise of the Federation series, which depicts the continuing adventures of the Enterprise crew in the early days of the Federation. This book picks up some of the threads from the previous instalment, Uncertain Logic, which explored the threat of the "Ware" (the creepy automated technology seen in the fantastic episode Dead Stop). The Klingons are also set to return this time, as the cover (by Doug Drexler) dramatically depicts, and the blurb from the back cover describes below. 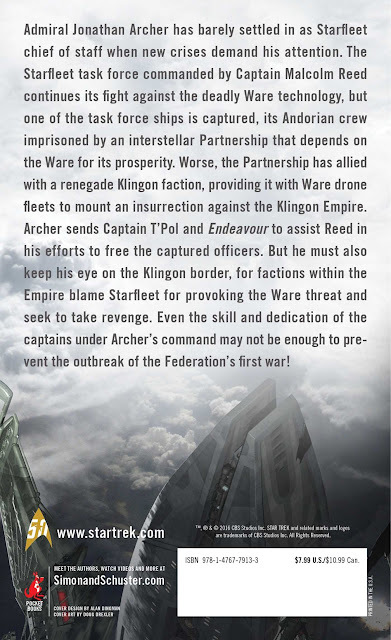 In other Star Trek books news, Simon and Schuster have recently announced some seven-hundred Star Trek books are now available DRM-free in digital format, and via the Star Trek books website you can also find regular discount offers, and even the occasional free book (currently offered is the novelisation of The Search For Spock). Also of note for novel fans, a recent episode of TrekFM's Literary Treks had James Swallow on as a guest, to discuss his most recent book, the TOS novel The Latter Fire. As ever, well worth a listen for a discussion on how the author brought the book to life.